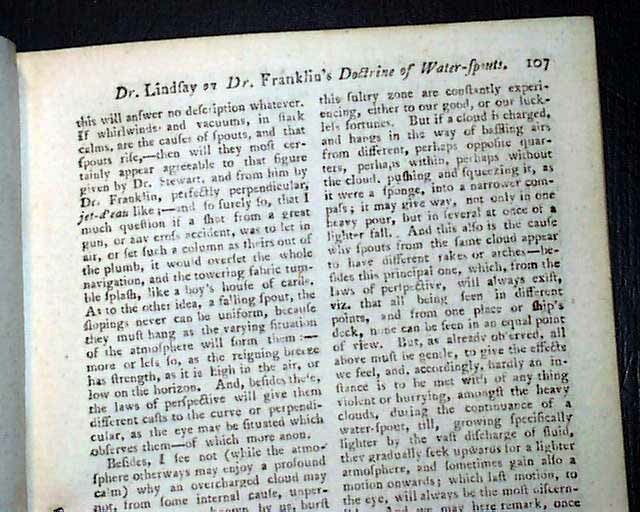 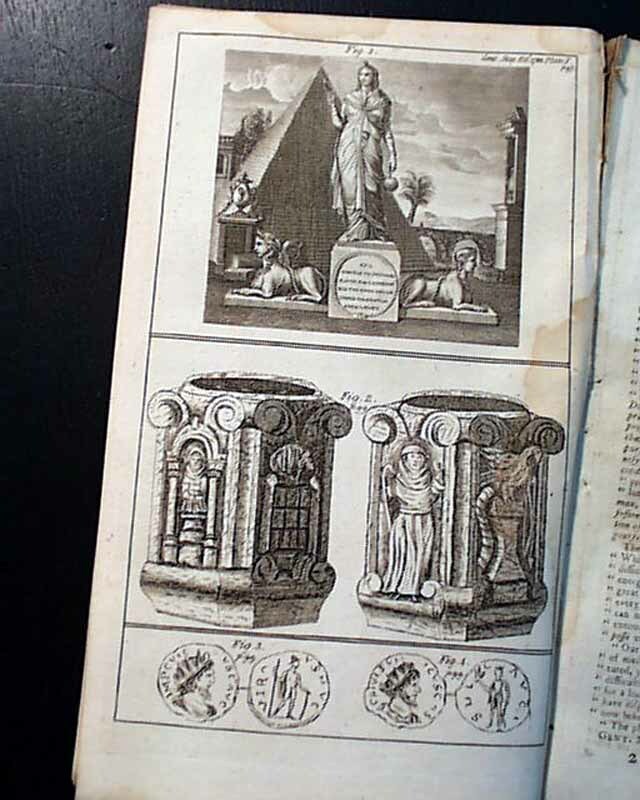 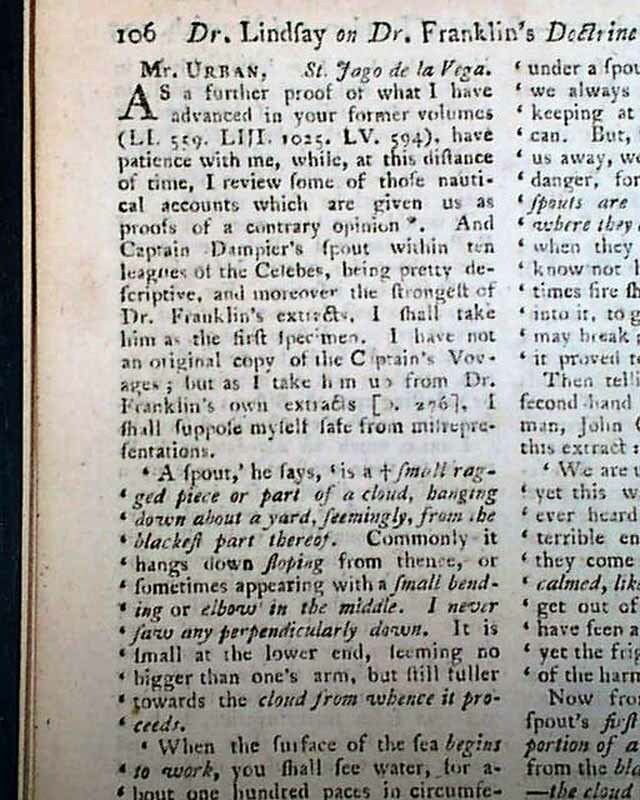 Perhaps the most interesting article is: "Dr. Lindsay on Dr. Franklin's Doctrine of Water-spouts" which comments on Ben Franklin's work (see for portions). 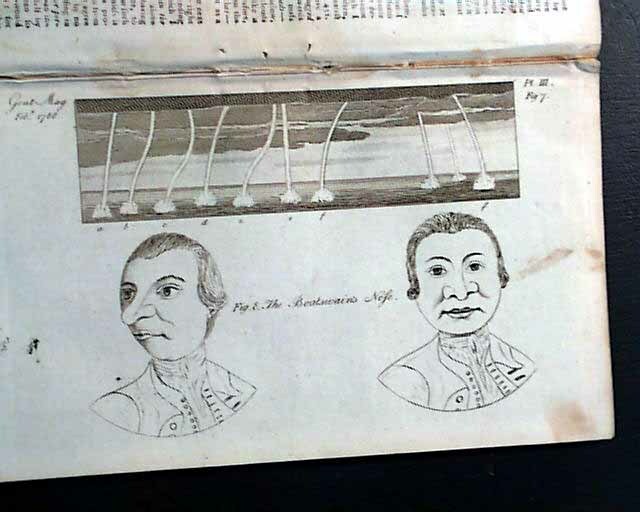 This article takes 2 1/2 pages and one of the plates includes prints of various water spouts (see). 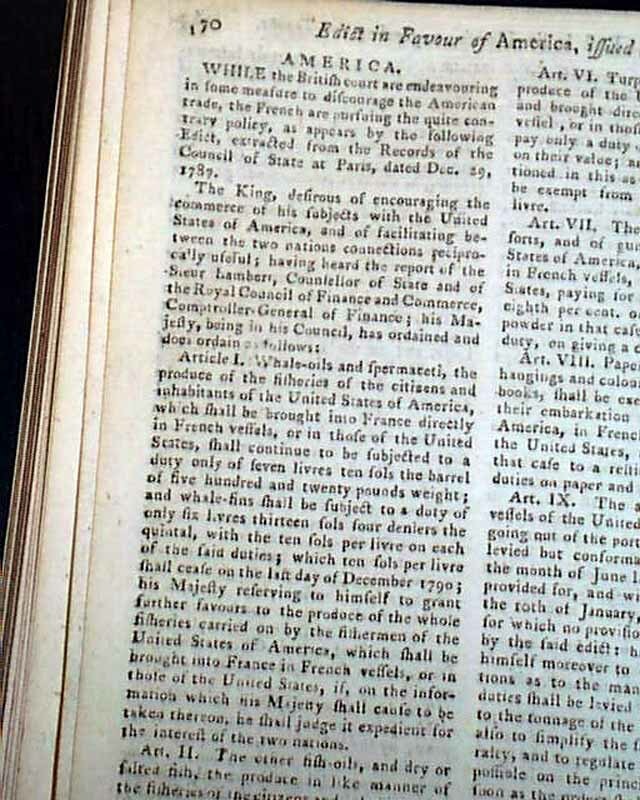 An article: "Edict in Favour of America, Issued at Paris" begins: "While the British court are endeavouring in some measure to discourage the American trade, the French are pursuing the quite contrary policy..." with more (see) taking more than a full page. 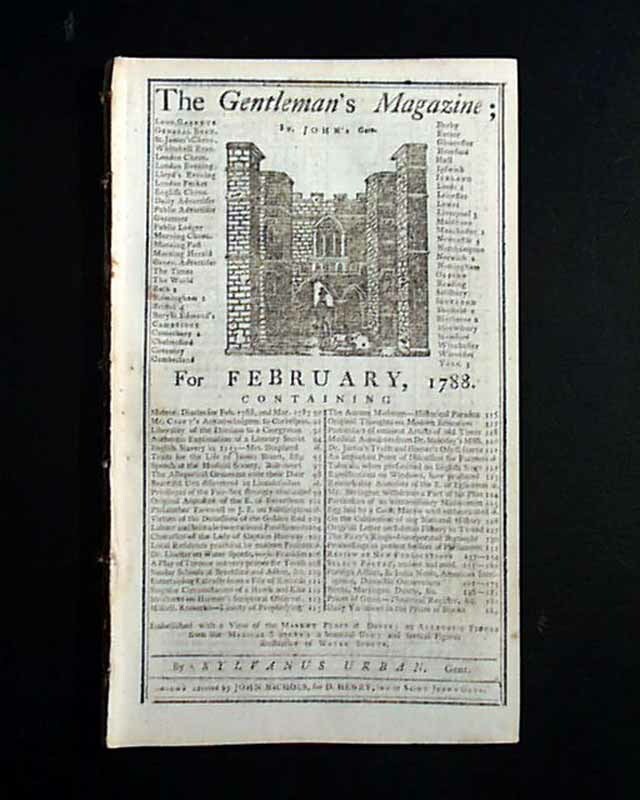 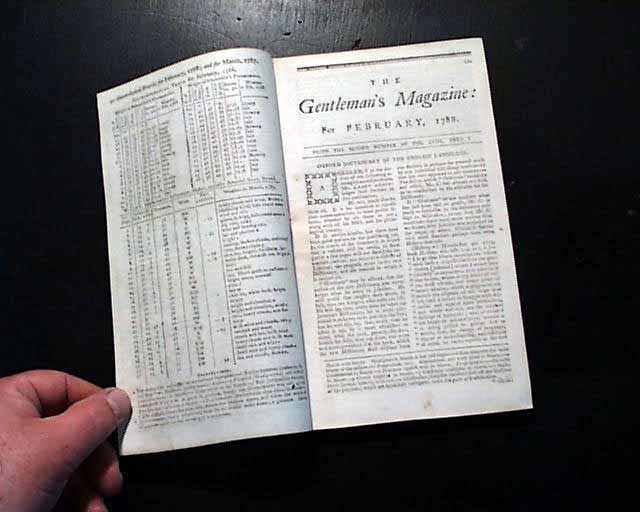 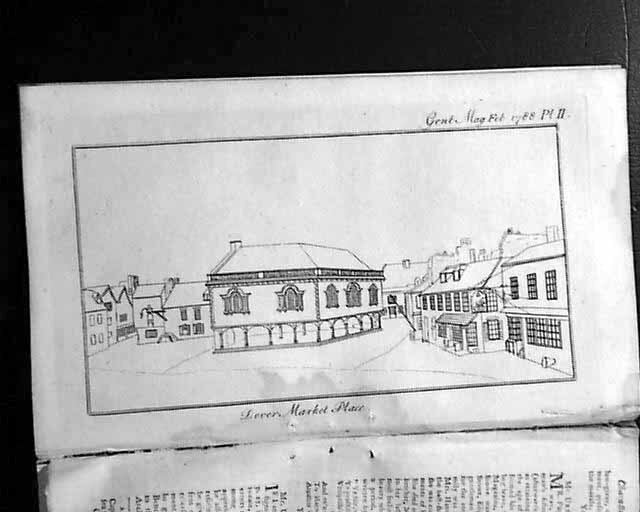 Among other items of interest in this magazine are: "Original Letter on the Salmon Fishery in the Tweed" "Summary of the Proceedings in Parliament" "Second Manifesto of the Empress of Russia" being Catherine the Great; and much more. 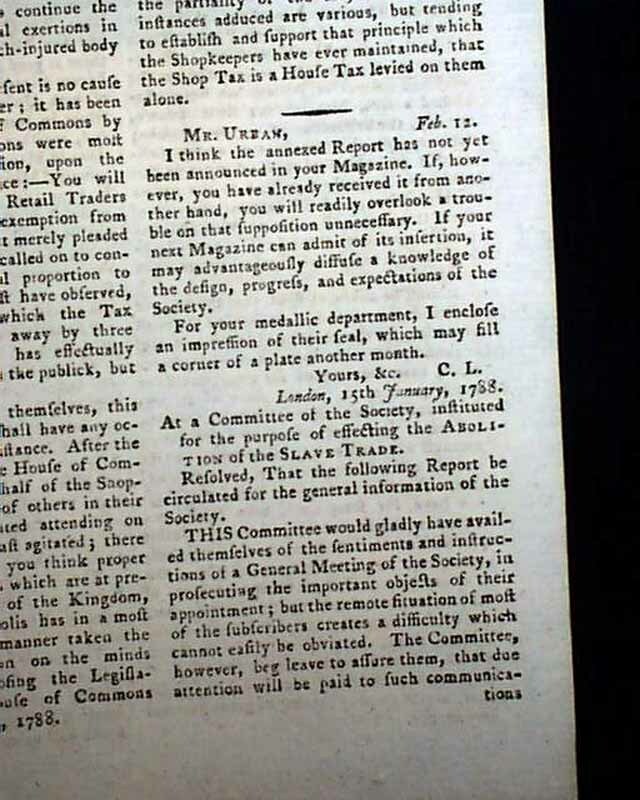 The article: ""Circular Report of the Committee for Abolishing the Slave Trade" relates to the now-famous anti-slavery medal which was created (print appears in the March issue) as shown & detailed in this hyperlink. 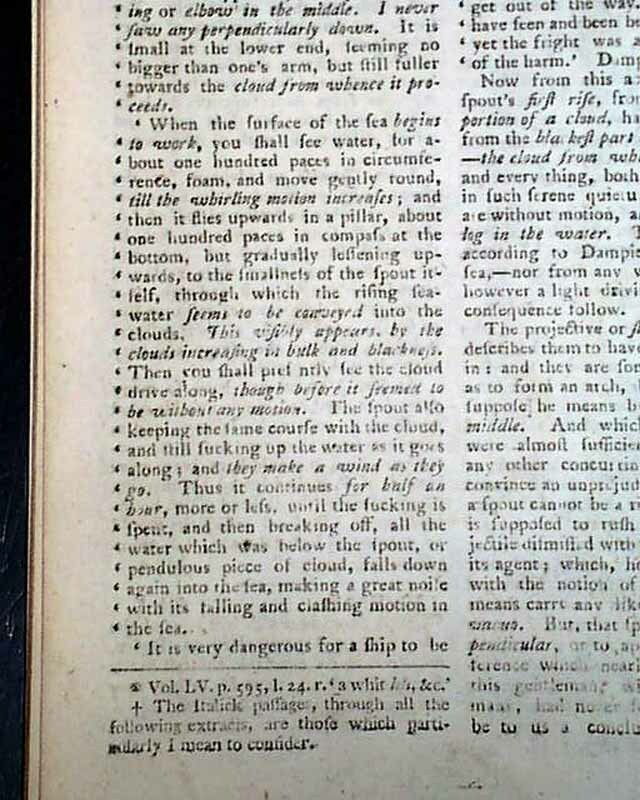 Included are all three plates called for, one showing the waterspouts as noted above. 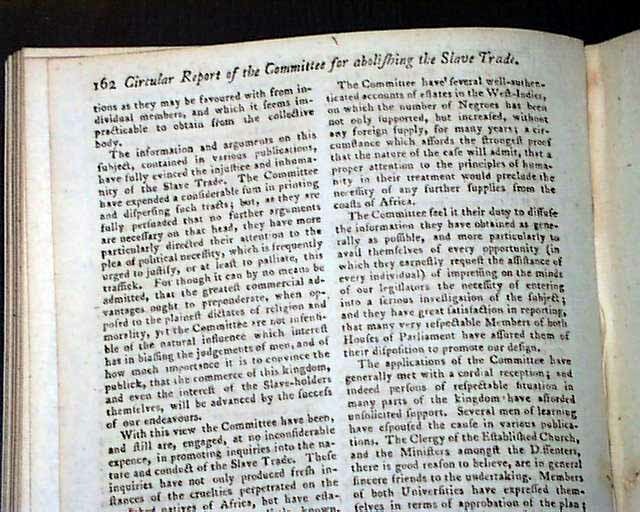 Complete in 96 pages, 5 by 8 1/4 in. 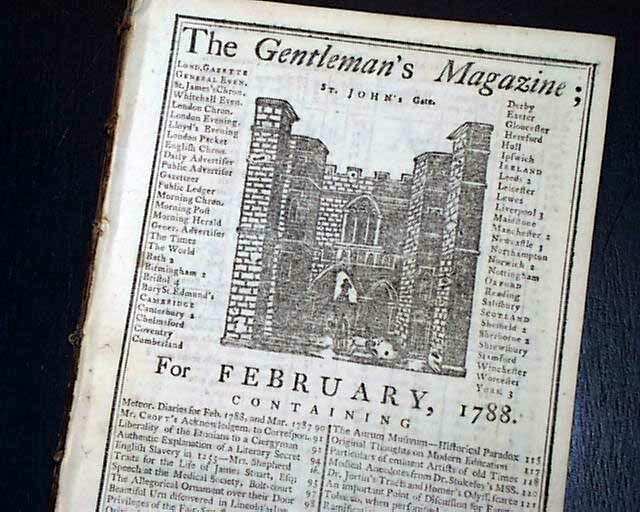 generally in nice, clean condition.